Wendy has worked with both national and international retailers across the country and successfully matched numerous retailers with the appropriate properties as well as placing them in the optimal location within a property. At the time The Bravern was in the planning stage, Neiman Marcus had not opened a store in the Pacific Northwest. Moreover, Neiman’s primary interest had been in the downtown Seattle market. In negotiating a deal with Neiman Marcus, the competition faced by The Bravern was not only Seattle, but also a successful and traditional shopping center located in Bellevue, WA. Nonetheless, Wendy and her team put together a successful presentation which led to a lease. 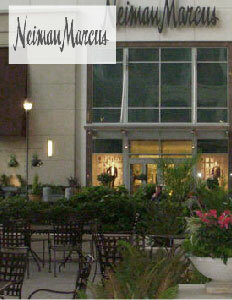 Neiman Marcus became the project’s anchor. This significant addition increased the size of The Bravern’s retail component from an original plan of 120,000 sq.ft. to 300,000 sq.ft. Neiman Marcus opened in The Shops at The Bravern to much acclaim (and substantial sales) on September 12, 2009. "Working with Wendy Silverman is working with a real professional. Her extensive knowledge of better retail leasing, and her exhaustive understanding of retail markets and of the Chicago market in particular makes her an invaluable asset when assisting better retail clients with their real estate needs." A thorough and complete knowledge of any given market is extremely important in seeking out suitable upscale retailers for any specified project. Perhaps just as essential are the relationships forged over many years with national and international retailer’s representatives/directors and their trust in our judgment and integrity. 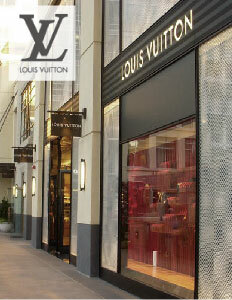 Louis Vuitton, a significant part of an international conglomerate, is just one of the many high end retailers with which Wendy has enjoyed such a relationship over many years, and as a consequence, was a determining factor in the introduction to, and their lease, in The Shops at The Bravern. "I've known and worked with Wendy for years. She is always professional in our dealings but one quality stands out more than that. She is always honest. In our business I can think of no trait more important."